I will start by saying I do love this authors work, especially her Gentry boys series which is what first got me into this author. And this is another great read pact full of everything you want in a book. Dominic and Melanie first meet when Dominics brother hires her to work for them and sparks soon begin to fly. Melanie I found hilerious, the stuff she comes out with and just her ways in general, especially how she got fired from her last job, had me laughing so much that people gave me weird looks. Dominic was a harder character to connect to but once you saw him start to let his guard down I did fall in love with him and understood him more. He came across as very abrupt and scary to people but the author wrote it well in the fact that even when hes been a a***hole you still love him and understand him..
For me my only real problem was it started out a bit slower then what I'd normally like and you felt like you were waiting for awhile for the characters to actually get anywhere, but I still enjoyed the story and their journey. Not just that but I also loved the characters around them like Dominic's brother and wife. 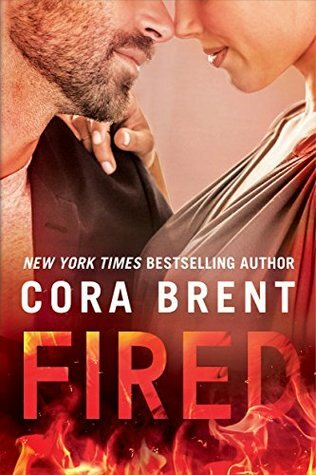 As is the normal with Cora's work there is some drama and slight angst in this book but not to much and nothing overly dramatic. A sweet read about family, love, and life. I'm looking forward to the next.